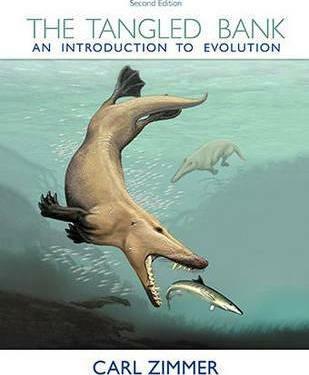 Used widely in non-majors biology classes, this is the first textbook about evolution intended for the general reader. Zimmer, an award-winning science writer, takes readers on a fascinating journey into the latest discoveries about evolution. In the Canadian Arctic, paleontologists unearth fossils documenting the move of our ancestors from sea to land. In the outback of Australia, a zoologist tracks some of the world's deadliest snakes to decipher the 100-million-year evolution of venom molecules. In Africa, geneticists are gathering DNA to probe the origin of our species. In clear, non-technical language, Zimmer explains the central concepts essential for understanding new advances in evolution, including natural selection, genetic drift, and sexual selection. He demonstrates how vital evolution is to all branches of modern biology-from the fight against deadly antibiotic-resistant bacteria to the analysis of the human genome. Used widely in non-majors biology classes, "The Tangled Bank" is the first textbook about evolution intended for the general reader. Zimmer, an award-winning science writer, takes readers on a fascinating journey into the latest discoveries about evolution. In the Canadian Arctic, paleontologists unearth fossils documenting the move of our ancestors from sea to land. In the outback of Australia, a zoologist tracks some of the world s deadliest snakes to decipher the 100-million-year evolution of venom molecules. In Africa, geneticists are gathering DNA to probe the origin of our species. In clear, non-technical language, Zimmer explains the central concepts essential for understanding new advances in evolution, including natural selection, genetic drift, and sexual selection. He demonstrates how vital evolution is to all branches of modern biology from the fight against deadly antibiotic-resistant bacteria to the analysis of the human genome. The second edition of The Tangled Bank has been dramatically revised. It includes an entirely new chapter focused on human evolution, for example, as well as discussions of additional concepts in evolution, new illustrations, and descriptions of new research. Richly illustrated with 285 drawings and photographs, "The Tangled Bank" is essential reading for anyone who wants to understand the history of life on Earth." Carl Zimmer is one of the country's leading science writers. A columnist for The New York Times and a regular contributor to magazines like Scientific American and National Geographic, he is the author of thirteen books, including Evolution: The Triumph of an Idea and A Planet of Viruses. Zimmer is a lecturer at Yale University, where he teaches science writing. He is a three-time winner of the American Association for the Advancement of Science Journalism Award and the winner of the National Academies Communication Award.